Select and grow All-America Selections Winner plants to boost your gardening success. Look for all of these Winners at your local garden centers and nurseries. Read more about AAS winners. Find more information about the trials that the Gardens do for AAS here. Spring has sprung and so it’s time to get outside and enjoy the season as you tackle this month’s gardening chores. Beware of late frosts and keep vulnerable plants and new shoots protected at night if frost is forecasted. Don’t be tempted to put out tender bedding plants until later in the month, and even then be prepared to cover it if necessary. For more tips, read here. The six large eastern red cedars form the old 1838 carriage entrance drive to the mansion at President Andrew Jackson’s beloved home, The Hermitage. 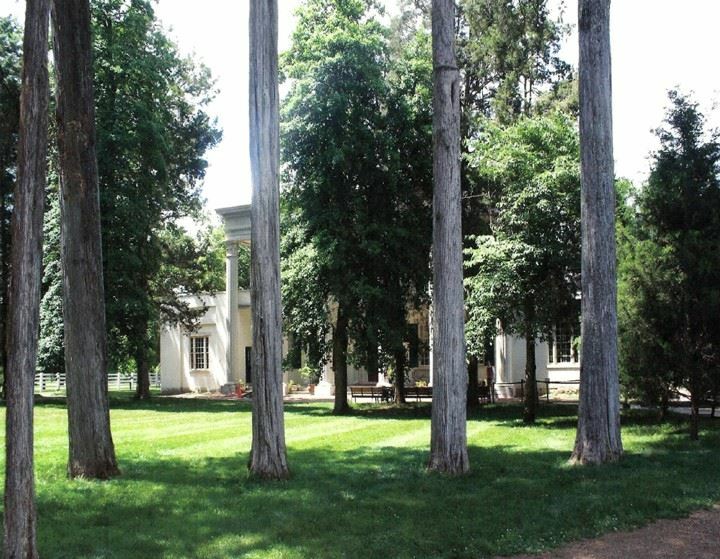 The design of the driveway with its row of cedars was created by Jackson’s daughter-in-law, Sarah York Jackson, and Ralph Earl, a portrait artist in residence there. The tornadoes of 1923 and 1998 destroyed many of the original trees on the property, but six cedars along the carriage drive are the oldest remaining cedars of that 1838 planting. The earliest photographic evidence of the cedars was found in a 1905 picture of the mansion. The cedars have witnessed visits by many foreign and national dignitaries, including the visits of Presidents Theodore Roosevelt, Franklin Roosevelt, Lyndon Johnson, and Ronald Reagan. Come help support our biggest fundraiser of the year. 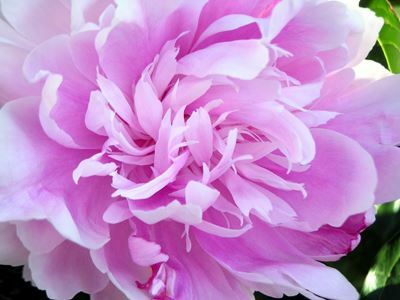 On Friday, April 29th, enjoy drinks, hors d'oeuvres, music, dinner, and live and silent auctions at the UT Gardens' fourth annual gala, A Symphony of Peonies, hosted by former UT President Joe Johnson and his wife Pat. For more information and to purchase tickets, please visit AdvanceUTIA.com/GardensGala2016. See photos from last year’s event here. As the tender lettuce leaves of springtime begin to turn tough and bitter, the adventurous culinary gardener can turn to this wonderful vine for a steady supply of tasty summer greens. 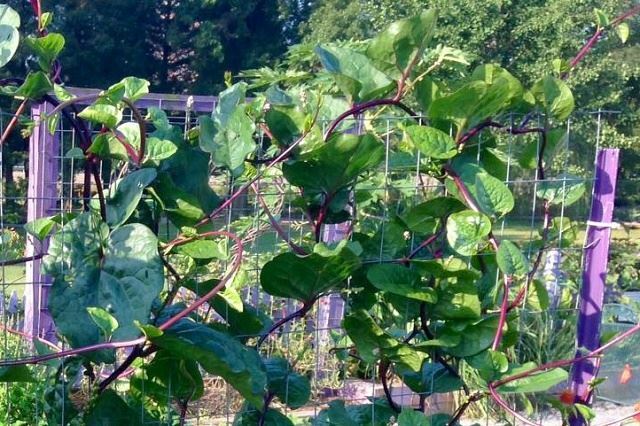 Red-stemmed Malabar spinach is a favorite among gardeners who desire attractive edibles. 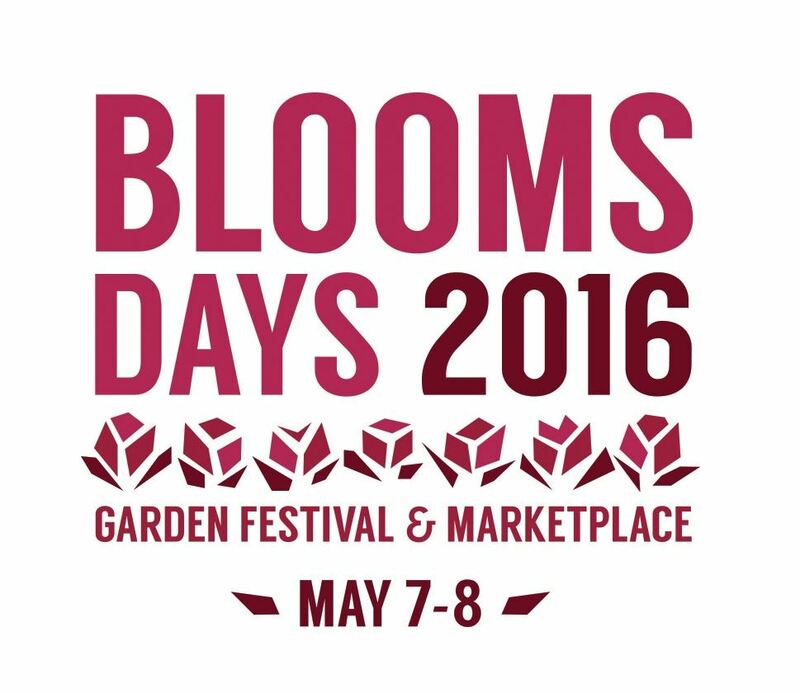 Don't miss one of the most fun gardening events of the year! The educational sessions that will take place on Saturday and Sunday have been scheduled. Take a look to help plan your visit! The UT Gardens Jackson will host the Master Gardeners’ Spring Plant Sale on Saturday, May 7. The sale is open from 7 a.m. until noon CDT. 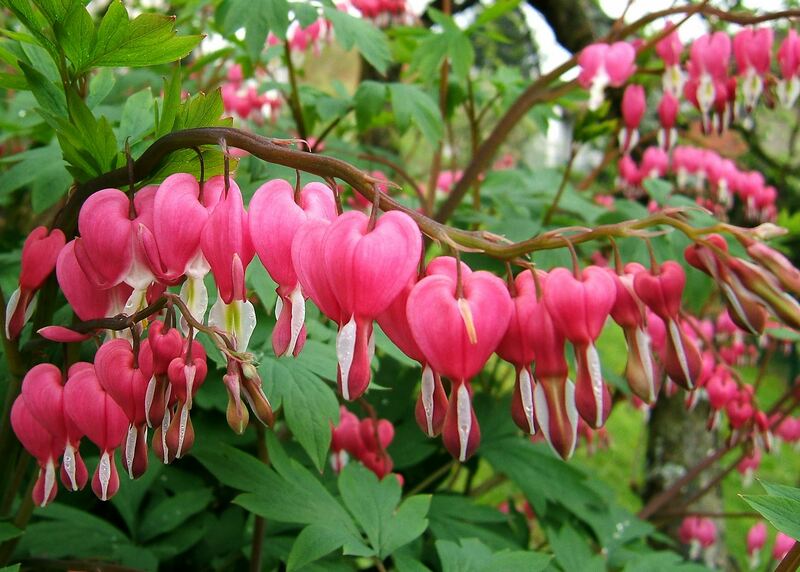 This is a great opportunity to shop a large selection of ornamentals and vegetable plants. The sale will take place at the UT Gardens Jackson, located at the West Tennessee AgResearch and Education Center. Proceeds benefit the gardens and Madison County Master Gardener projects. Plans are underway for the 2016 Summer Celebration Lawn and Garden Show. The event is scheduled for Thursday, July 14 from 9 a.m. until 5 p.m. CDT. The theme for 2016 is The Garden of Eatin’, with several garden talks focused on creating a landscape that tastes as good as it looks!Topics include edible landscape design, easy herb and vegetable gardening, and nutritional benefits of gardening. Go to http://west.tennessee.edu/events for the latest information. Congratulations to Jason Reeves who is the featured profile in the April issue of VIP Jackson! You can find the full article at their online site here. 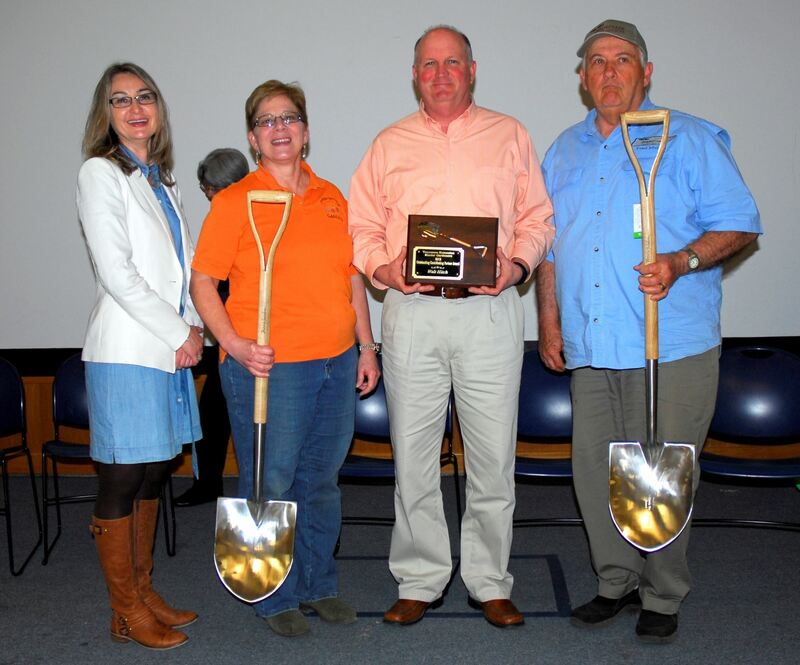 During the 2016 State Master Gardener Conference held in March, three Search for Excellence Awards were presented in association with the UT Gardens Crossville: Plateau Discovery Gardens. Accepting the awards were Beth Morgan, Cumberland County Master Gardener for youth (KinderGarden); Walt Hitch, Center Director of the Plateau Research and Education Center for Outstanding Contributing Partner; and Fred Mullen, Cumberland County Master Gardener, for research (AAS Tomato Trials). Crossville's Plant Sale is coming up! 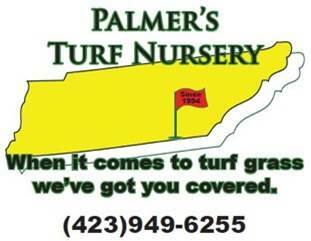 Visit www.ccmga.org or https://ag.tennessee.edu/plateaugardens for a complete list of plants and prices! Education program calendars for each garden. Each year, the NGB selects one annual, one perennial, one bulb crop, and one edible as the "Year of the" crops. Each is chosen because they are popular, easy-to-grow, widely adaptable, genetically diverse, and versatile. Free downloadable presentations on each plant can be found on the NGB SlideShare account. Founded in 1920, the National Garden Bureau is a non-profit organization whose mission is to disseminate basic instructions for backyard gardeners and those who want to garden, that will inspire them to spend more time outdoors, enjoying all nature has to offer. 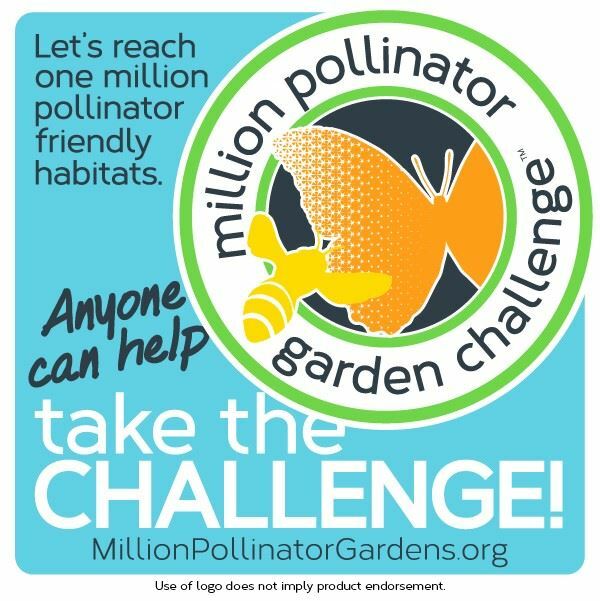 We Challenge You...Plant for Pollinators! Learn more at millionpollinatorgardens.org. 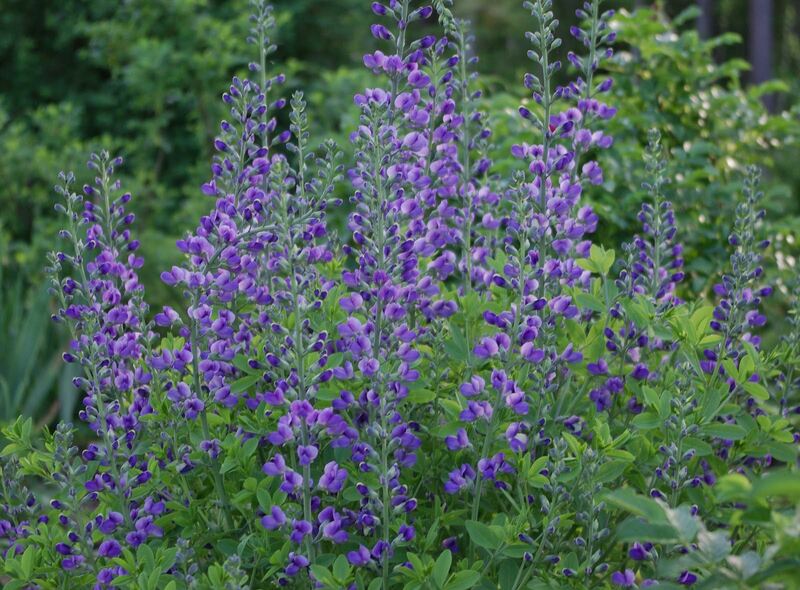 Click here to shop for pollinator-attracting plants from National Garden Bureau members. Install any nectar or pollen-producing plant, then register your pollinator garden at this collaborative share site. 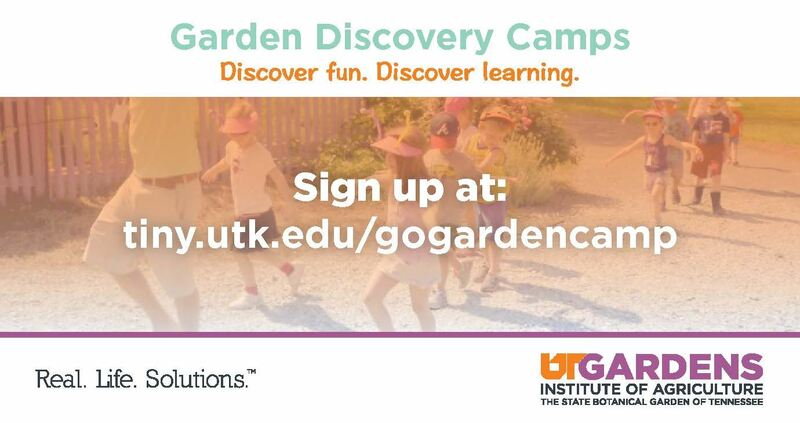 The UT Gardens in Knoxville holds volunteer sessions each Tuesday and Thursday morning (9-noon). Tasks vary, but most involve working outside in the gardens and can include planting, weeding, moving containers, etc. You don’t have to have any specific knowledge about gardening or botany in order to volunteer, in fact volunteering is a great way to learn! We do take breaks from volunteering during August and the winter months. We also occasionally offer volunteer opportunities other than the Tuesday/Thursday sessions, such as our spring and fall plant sales or our Blooms Days Festival. If interested in receiving more information about becoming a volunteer, please contact Beth Willis at ewillis2@utk.edu. 2016 Community Partners and Sponsors! Copyright © 2016 UT Gardens. All rights reserved. You are receiving this message because you opted in at UT Gardens.